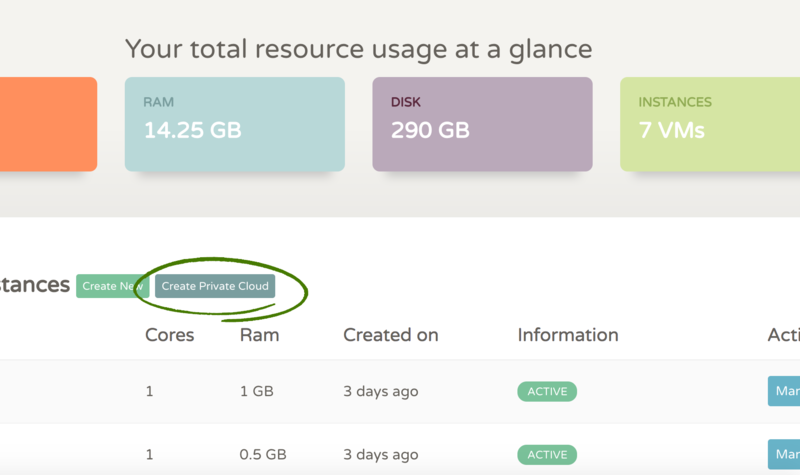 How to attach a new IP to my Private Cloud Instance? What are the IPs assigned to my Private Hypervisor? 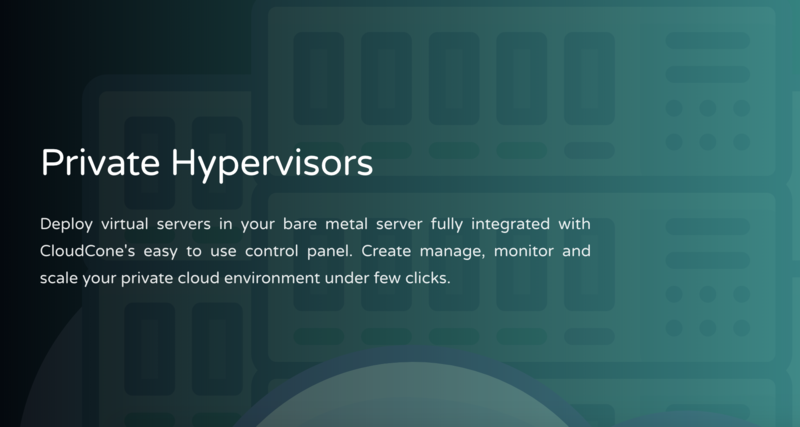 Private Hypervisors at CloudCone is a new way to provision Virtual Machines inside your own bare metal hardware. Private Hypervisors can offer you an efficient performance increase and a worry-free lousy neighbor experience. A single private hypervisor is a CloudCone node which we link to our control panel allowing you and only you to deploy virtual machines inside it. This is one of the most effective ways for managed computing where 100% of the disk IOPS, 100% of the CPU and the Bandwidth is allocated for your virtual machines. How to create Virtual Machines? Once you have ordered your Private Hypervisor, you will see a button to deploy servers. Choose your OS and click Deploy!